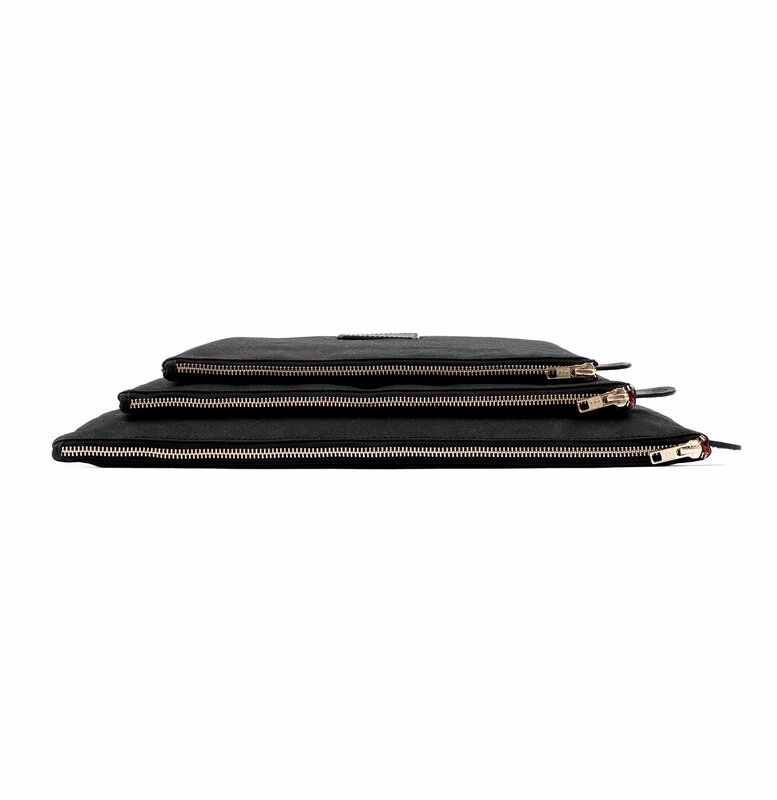 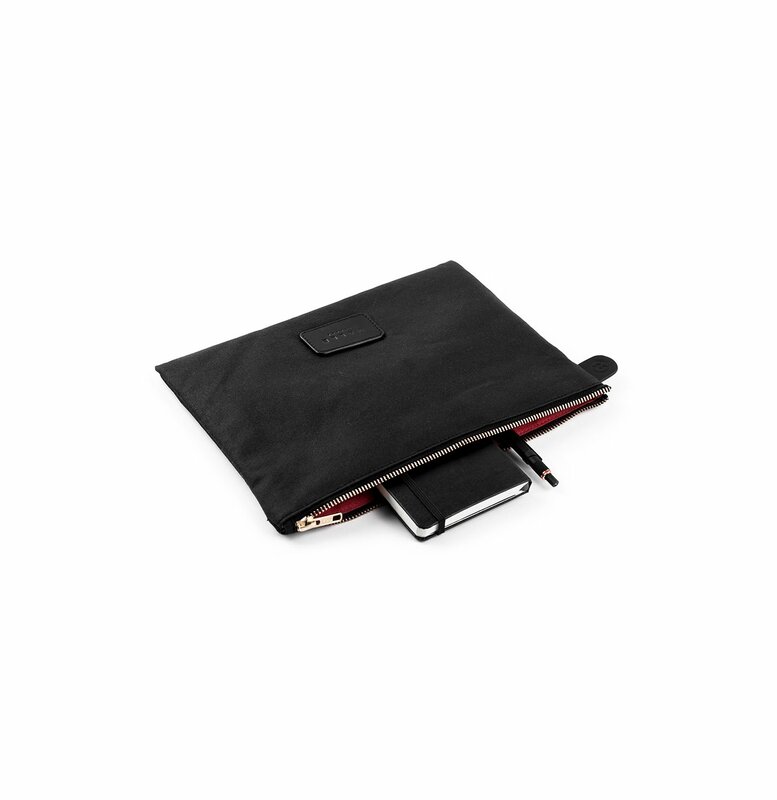 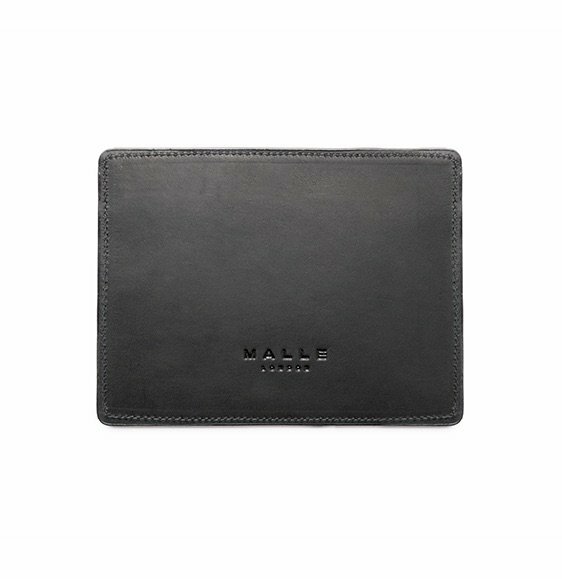 Protect and organise your daily essentials from your notebooks and pencils to your iPad and laptop. 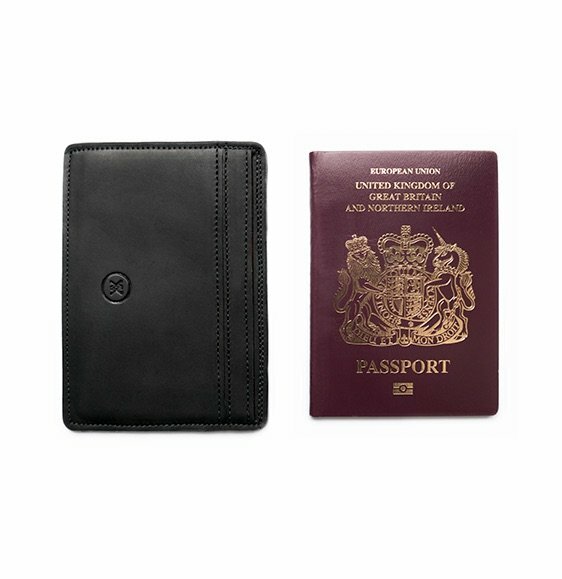 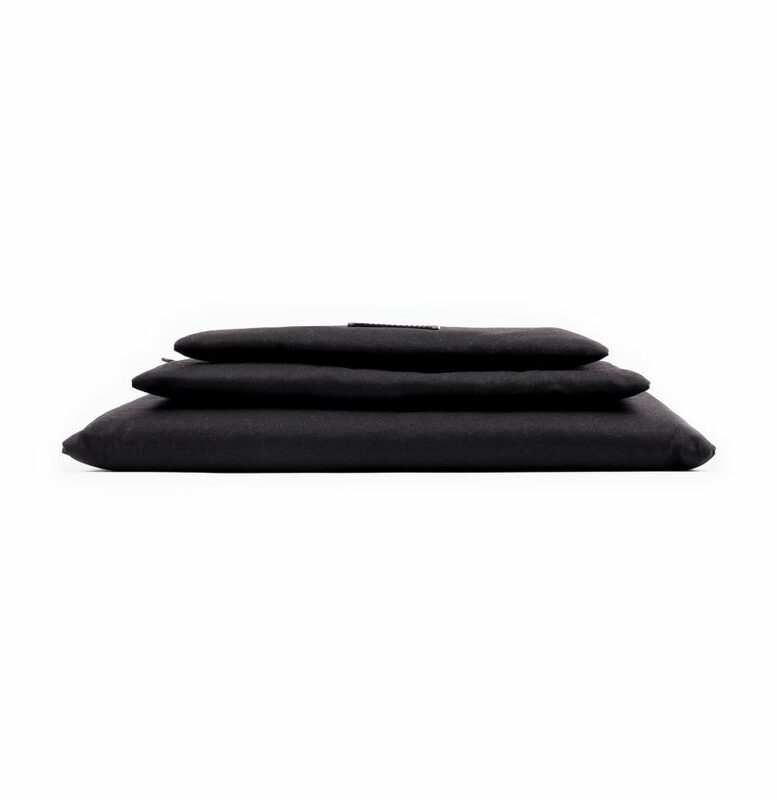 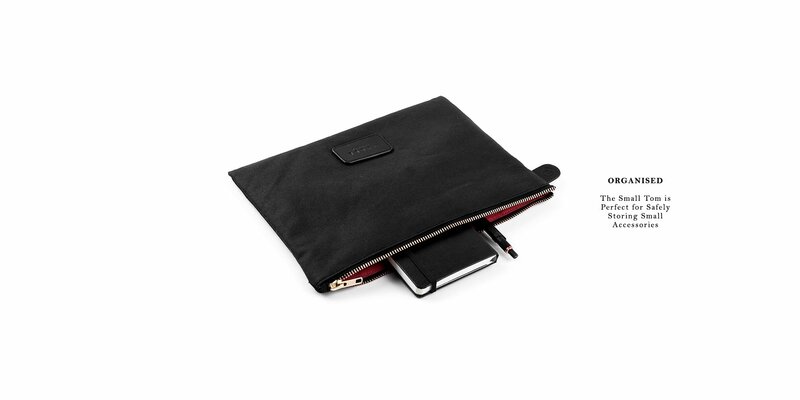 We've designed the 'Tom’ digital pouches in three sizes, to create simple organisation in your weekender or backpack. 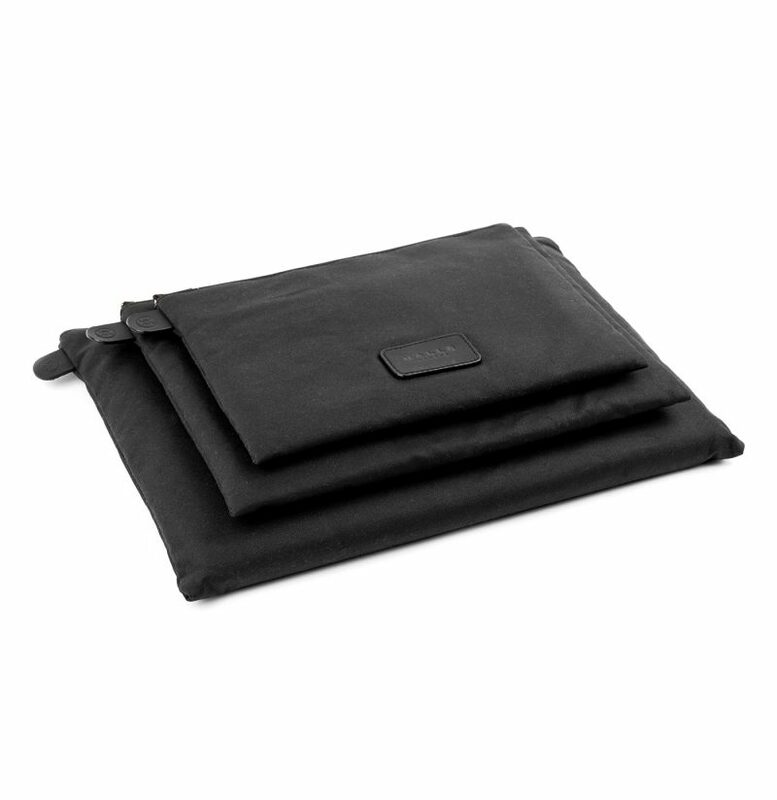 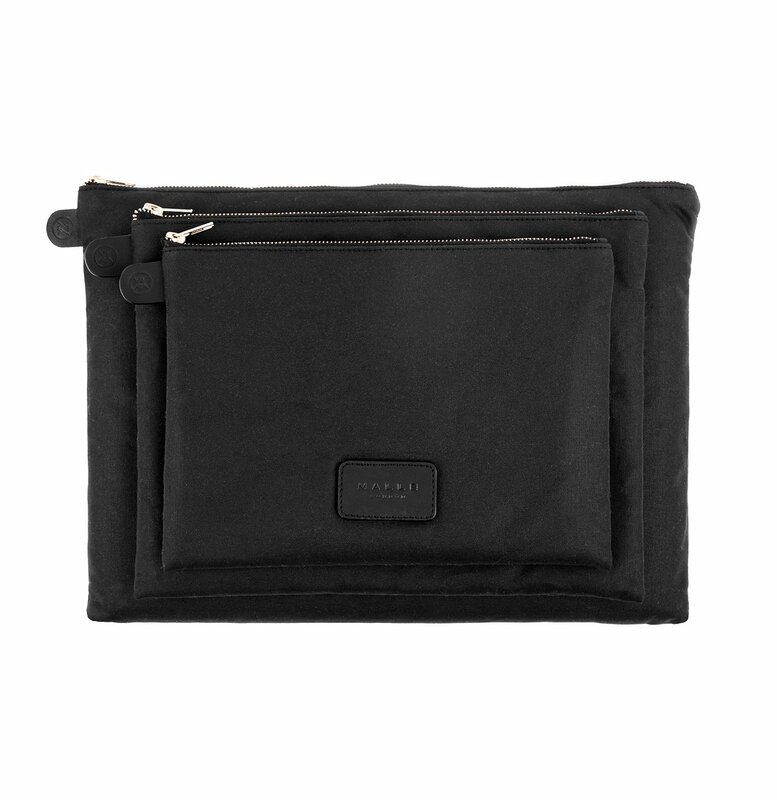 The large pouch holds up to a 15” laptop, A4 notebooks and papers. 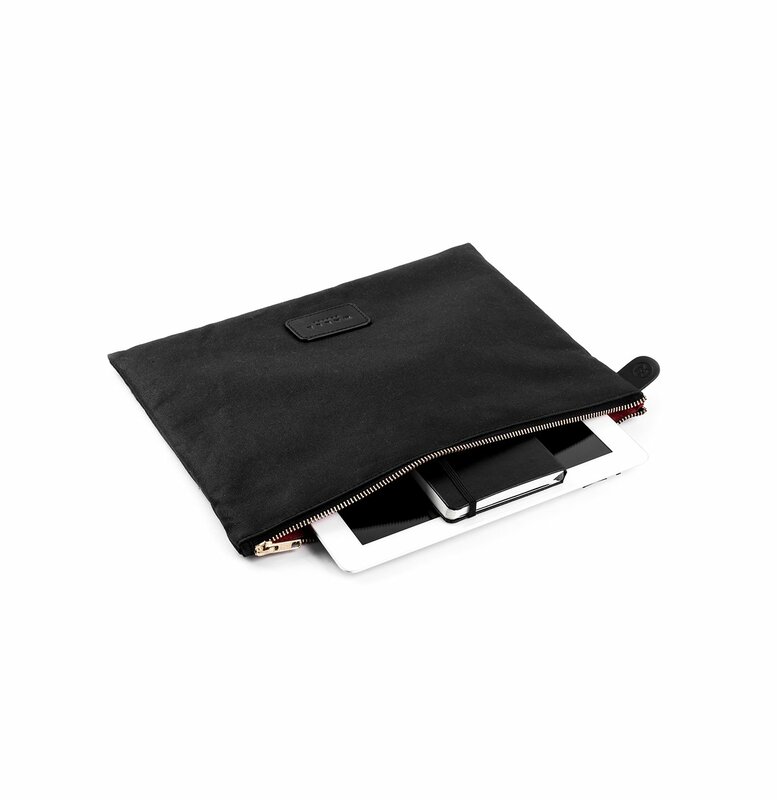 The medium pouch holds up to a 10” tablet including the new large iPad. 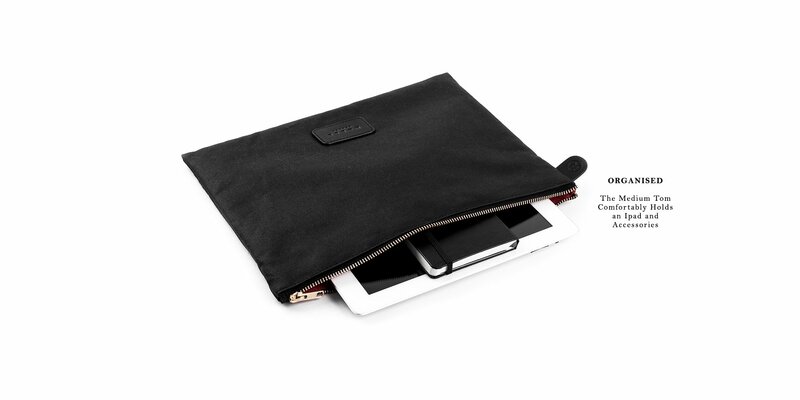 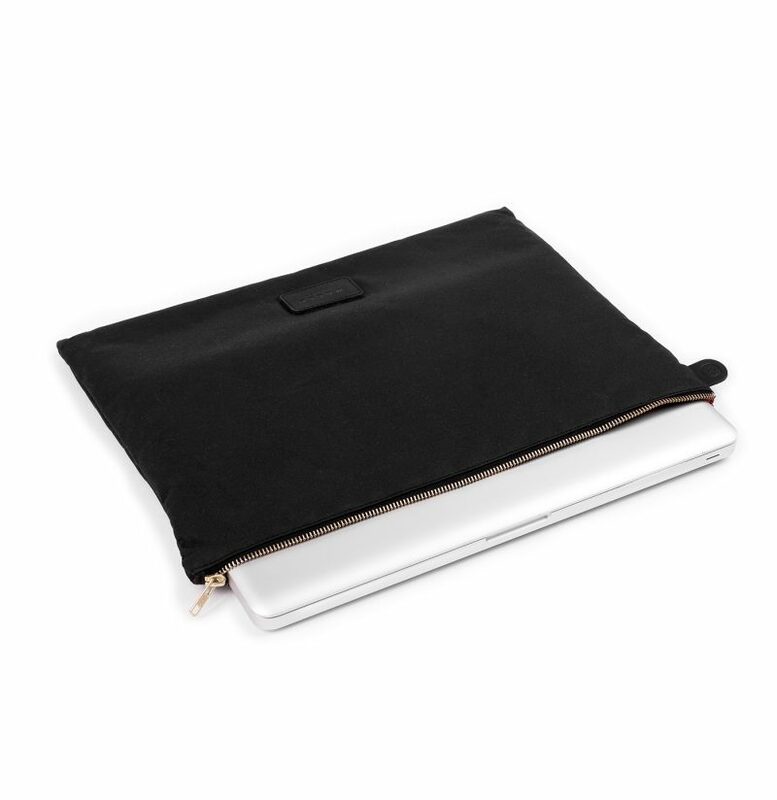 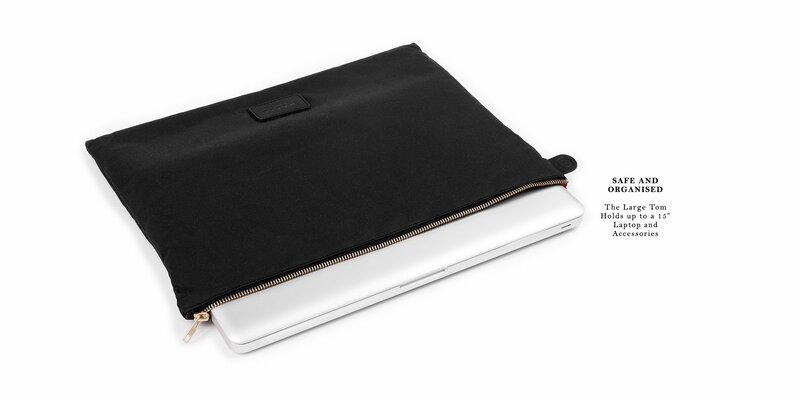 The small pouch is ideal for smaller accessories, notebooks, cables and USB drives. 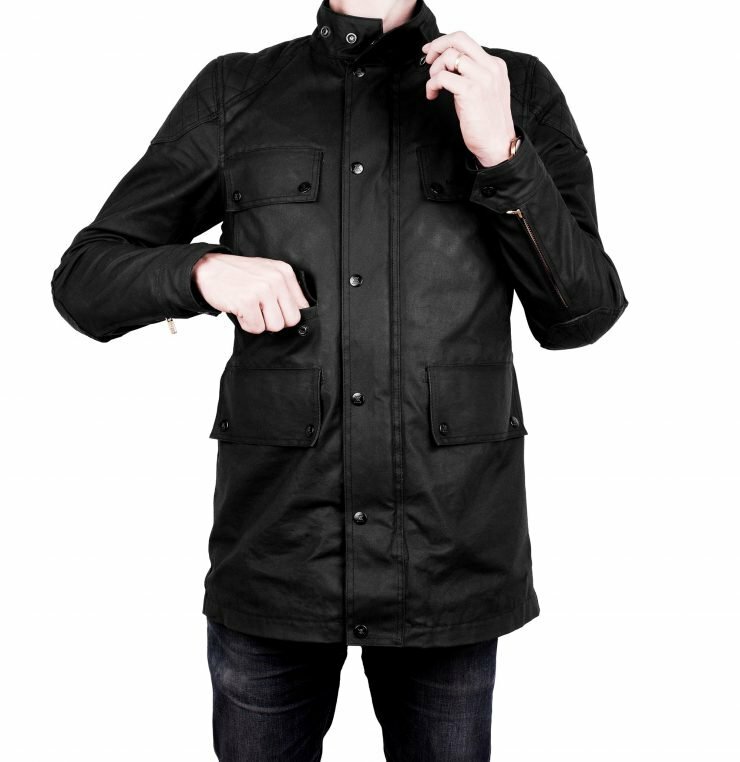 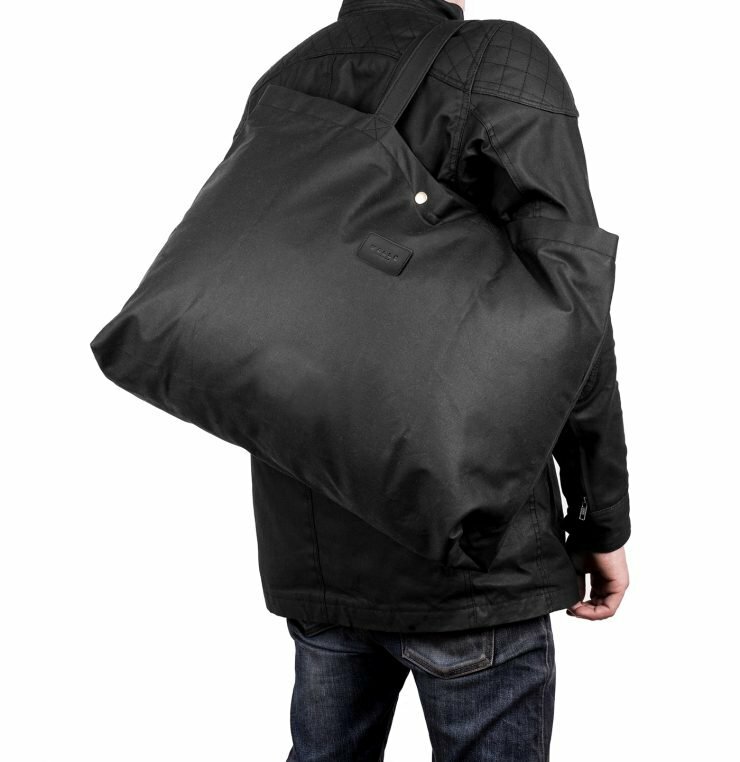 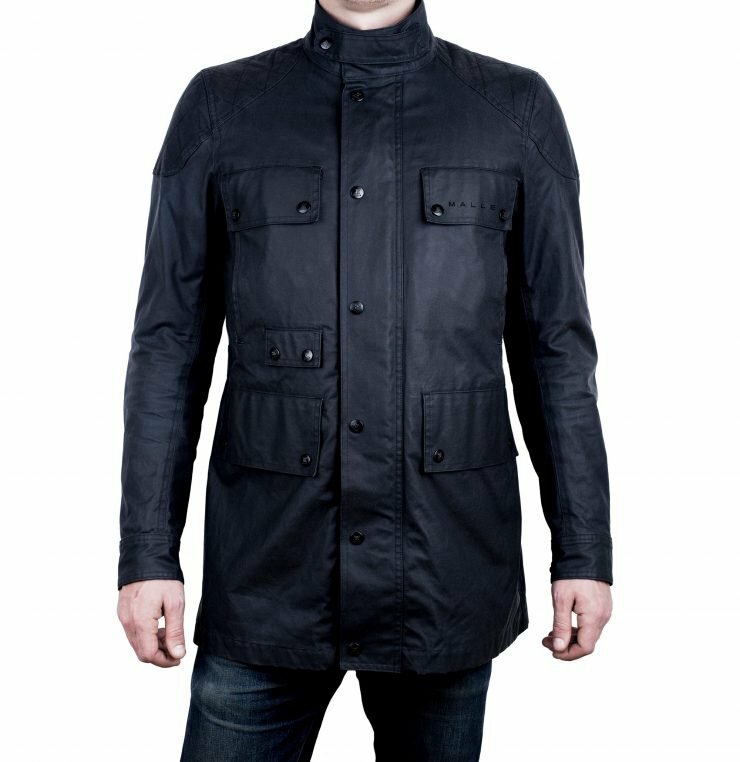 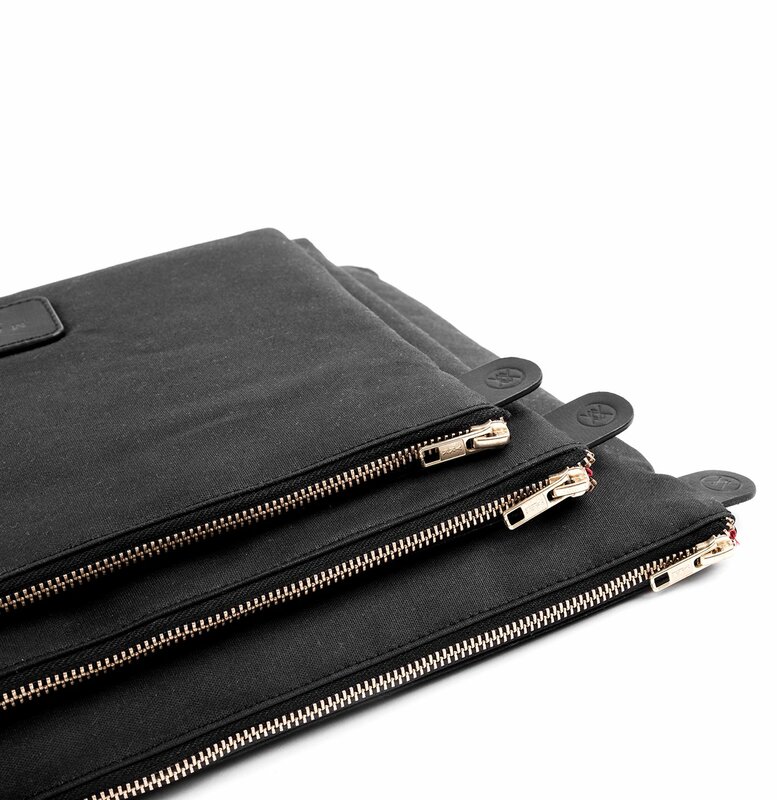 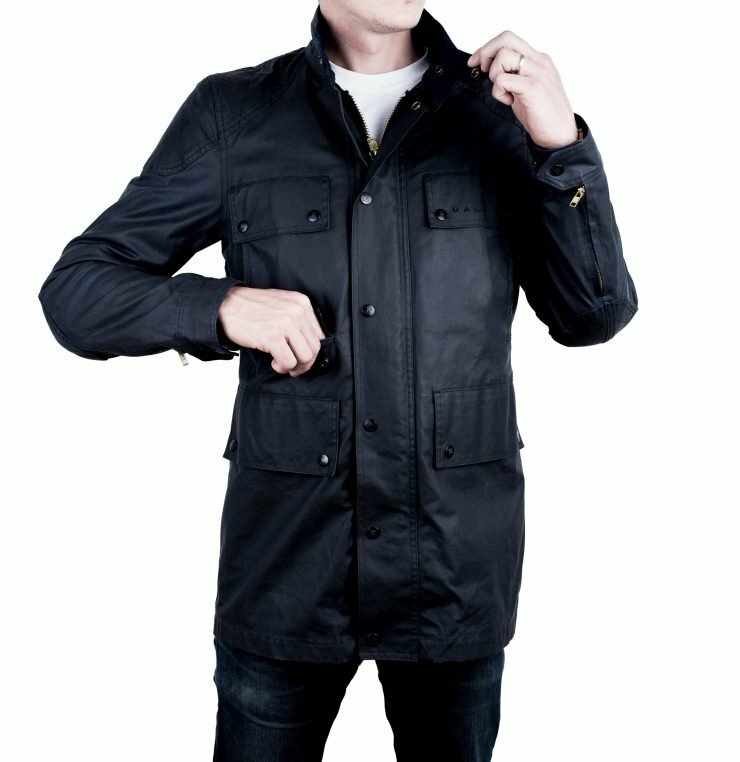 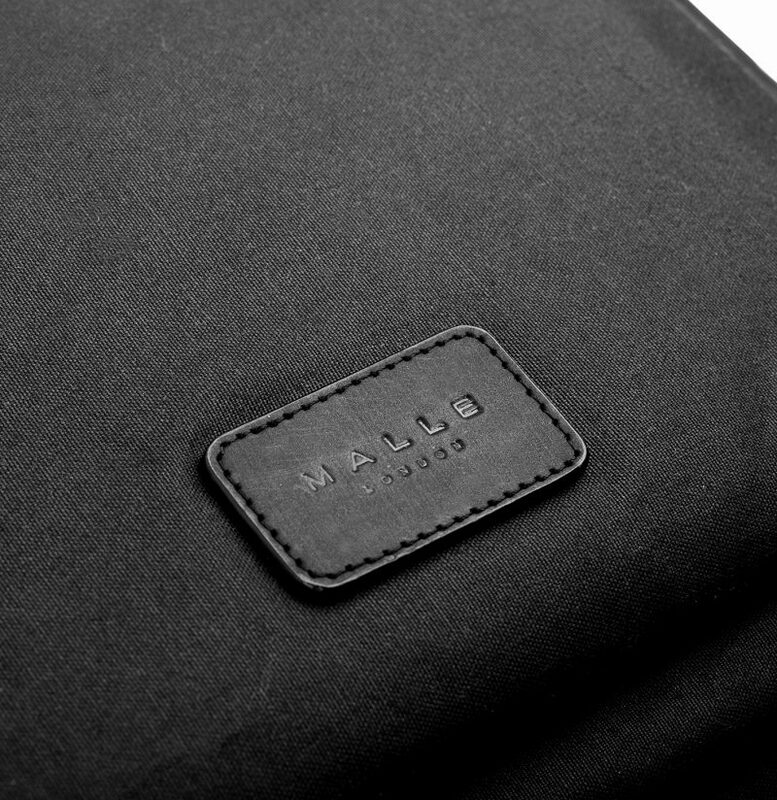 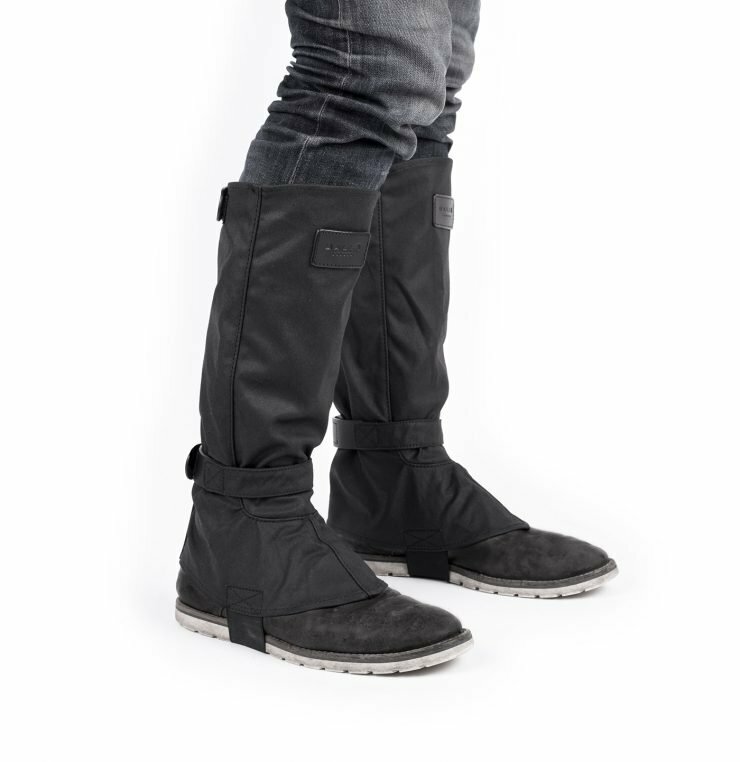 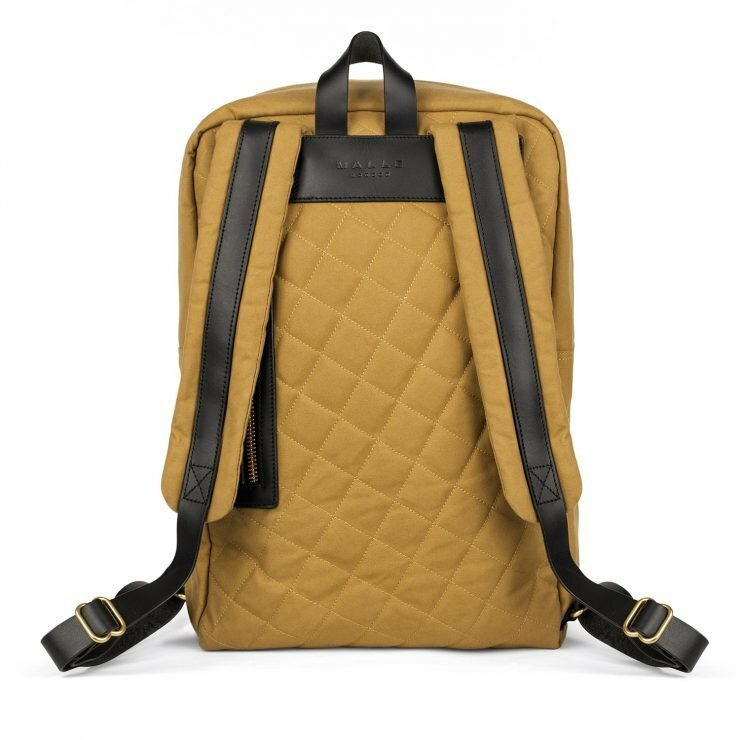 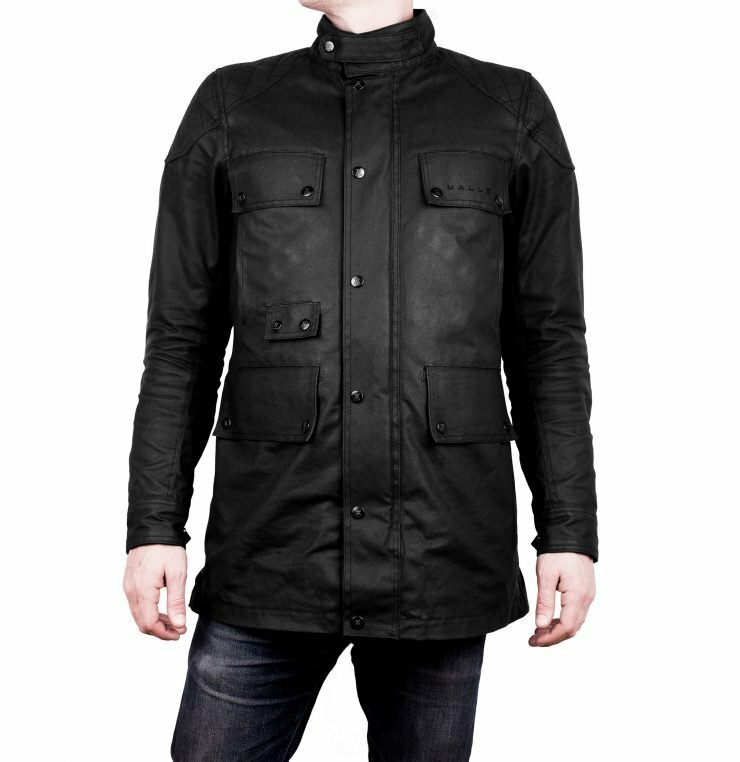 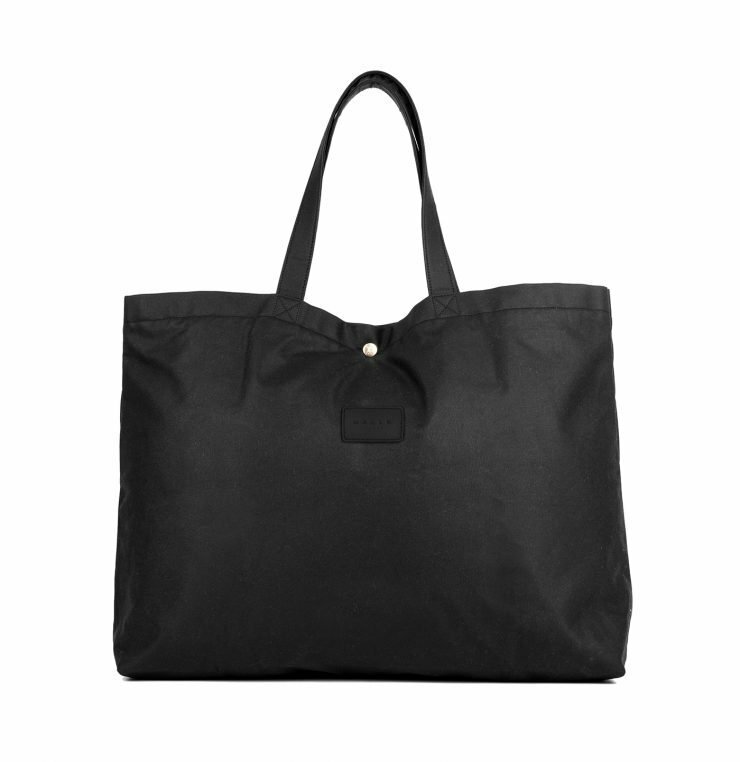 Made from our waterproof black oiled canvas, bridle leather, solid brass zips and lined with organic cotton. 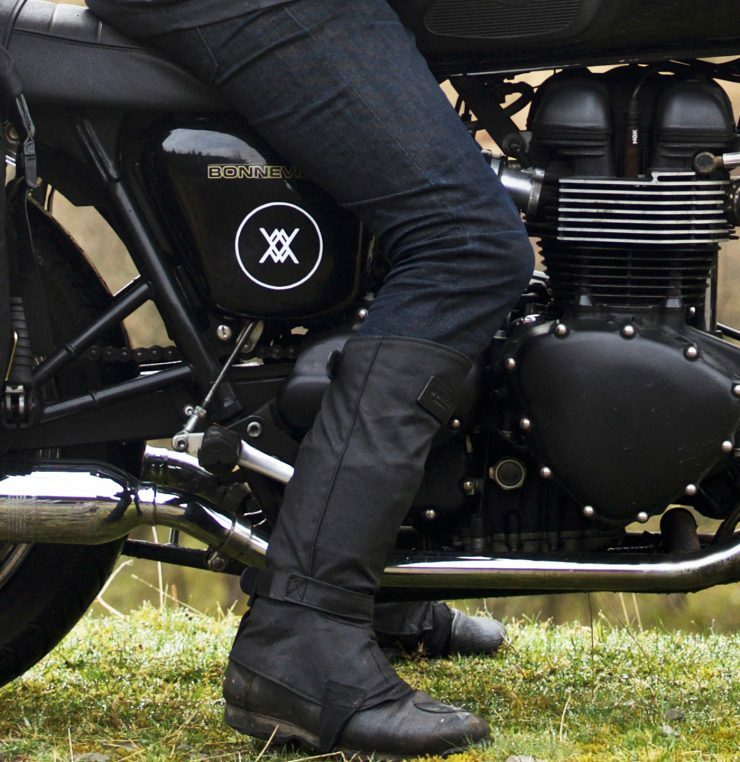 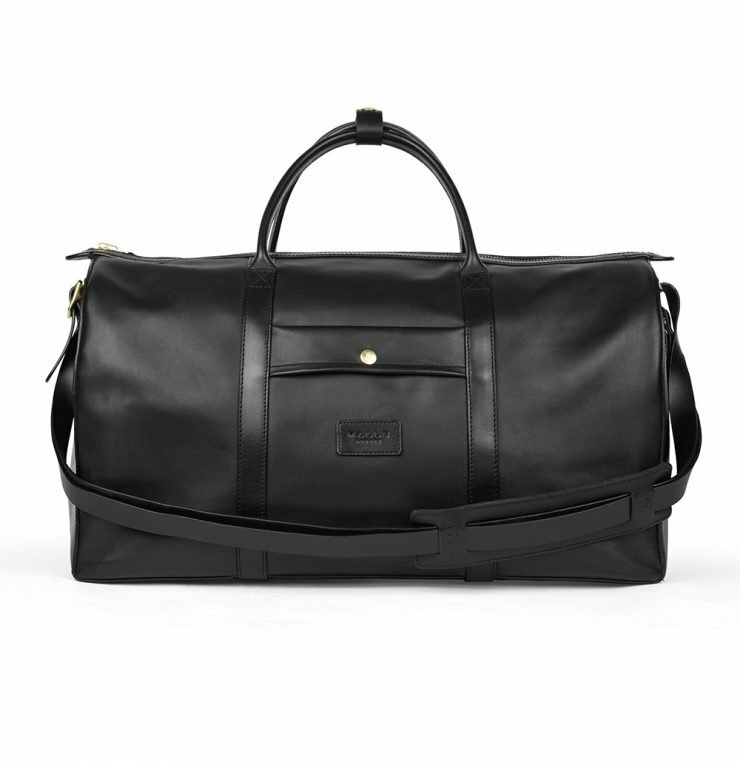 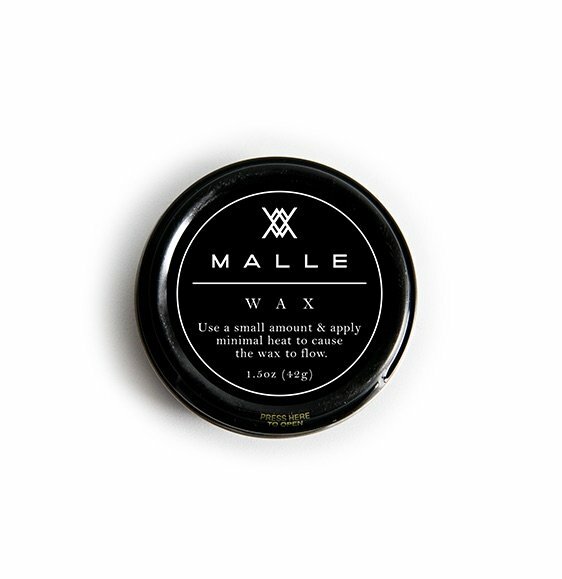 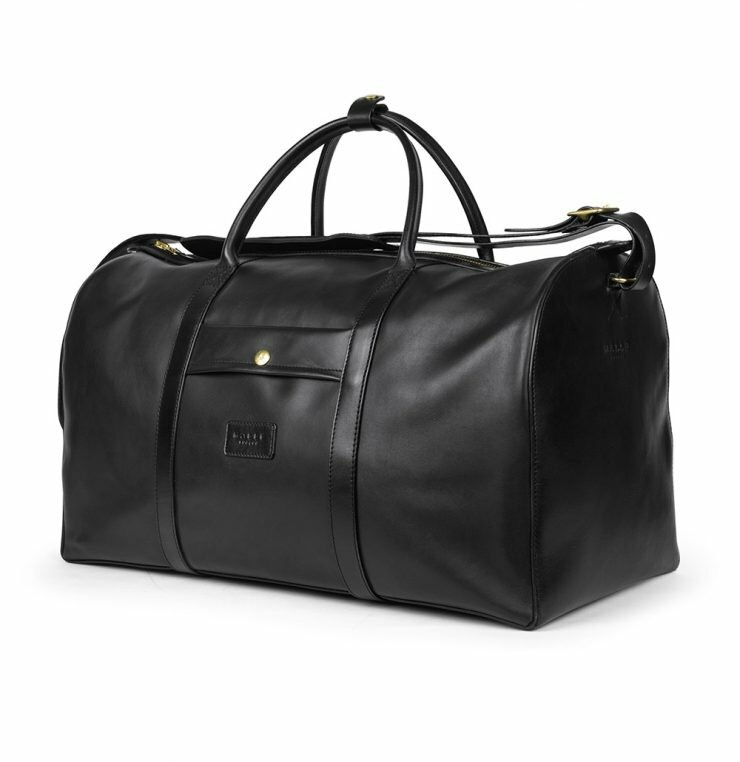 Hand crafted with our signature black oiled cotton (which is extremely water resistant and robust), luxurious bridle leather, a natural navy blue cotton interior and forged brass hardware. 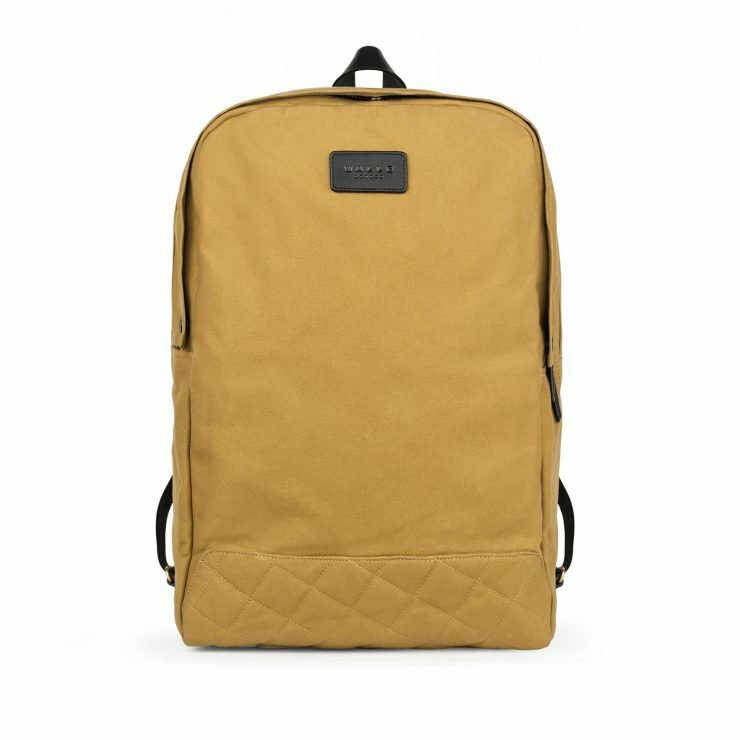 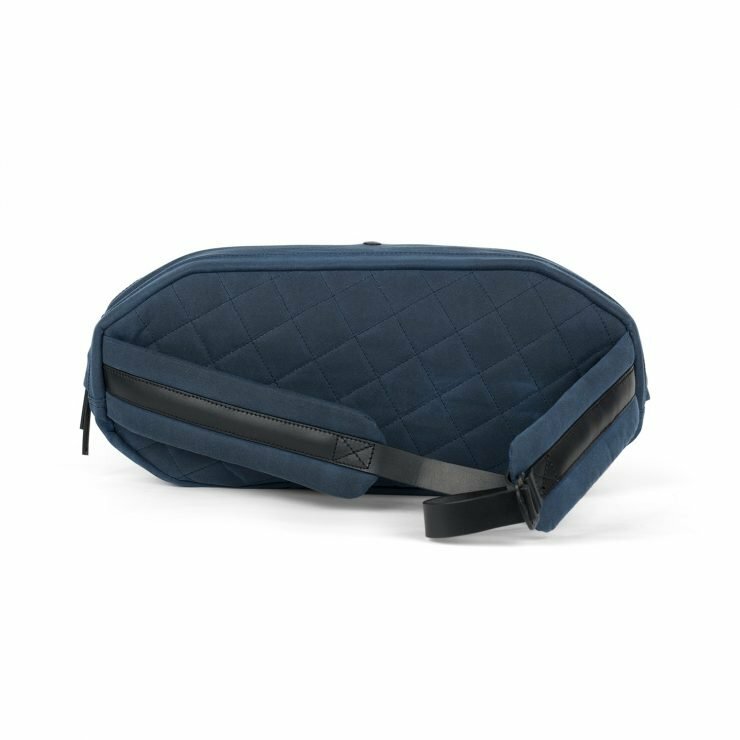 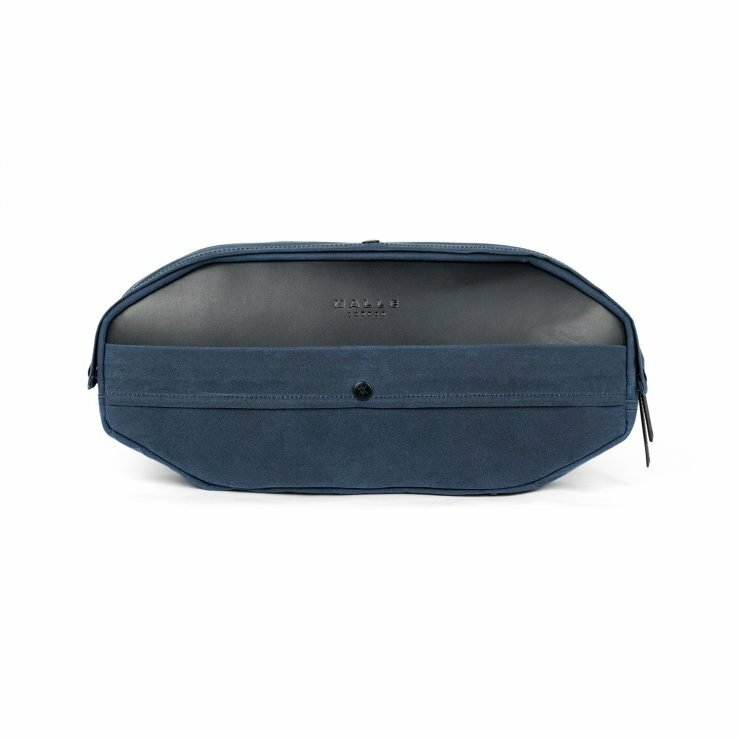 Each padded pouch has an internal organisation strip and the roll-top creates a water-resistant seal, ensuring all contents are kept safe and secure, no matter what else is being carried alongside it in your weekender or backpack (water, champagne etc.). 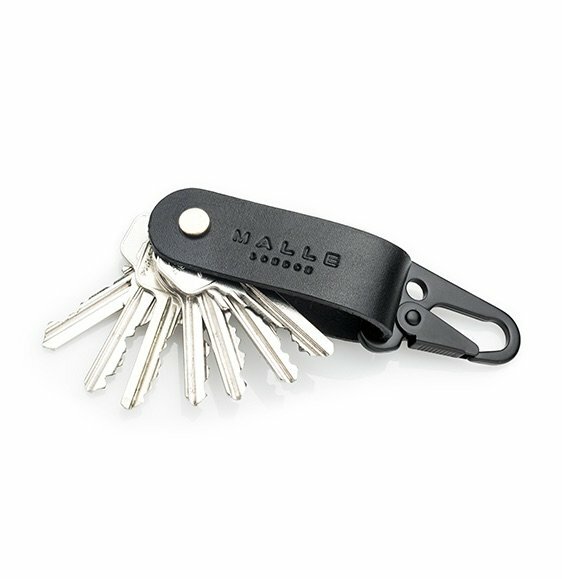 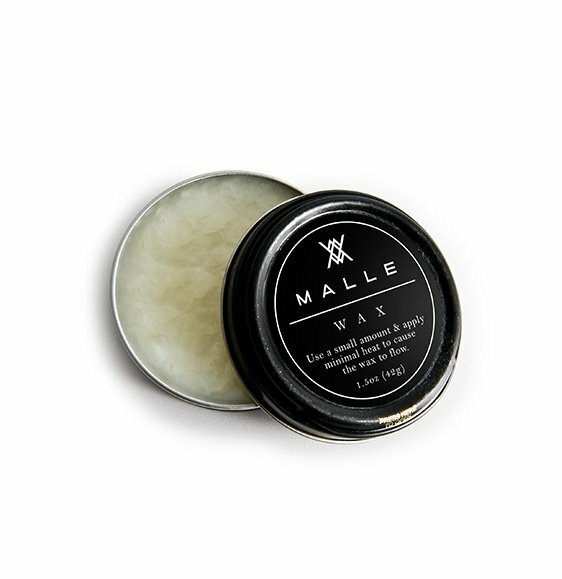 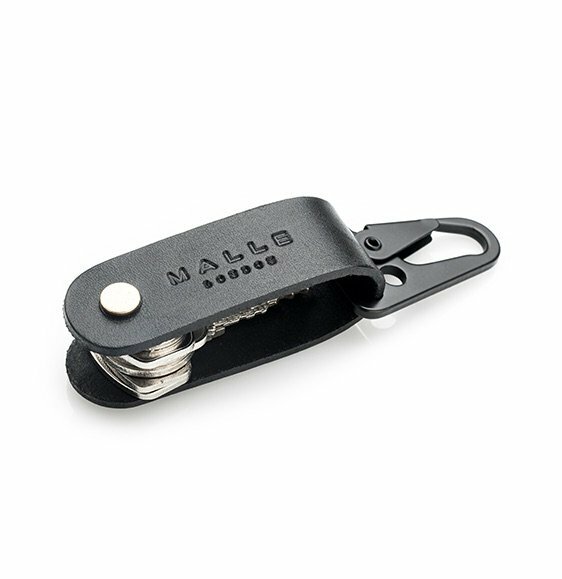 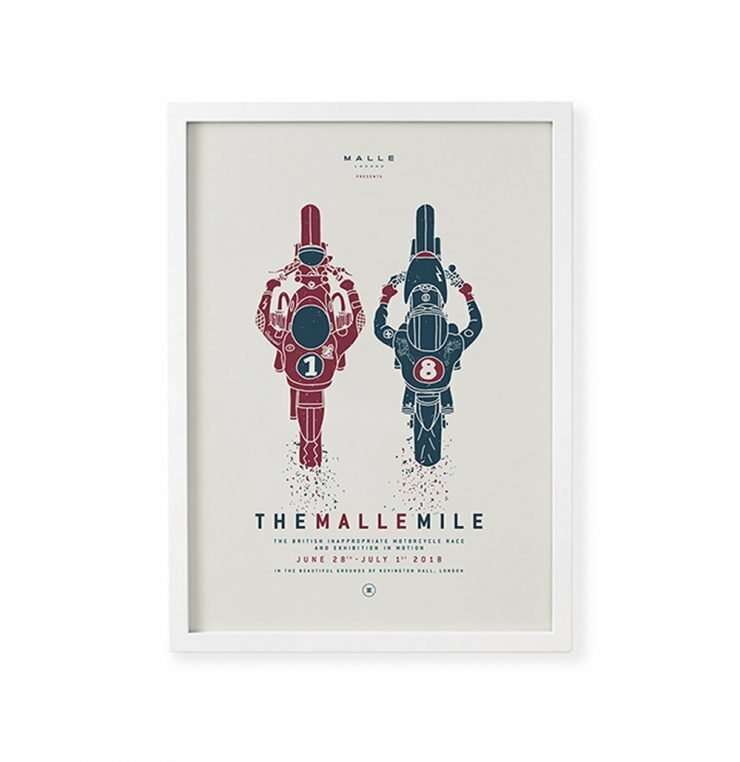 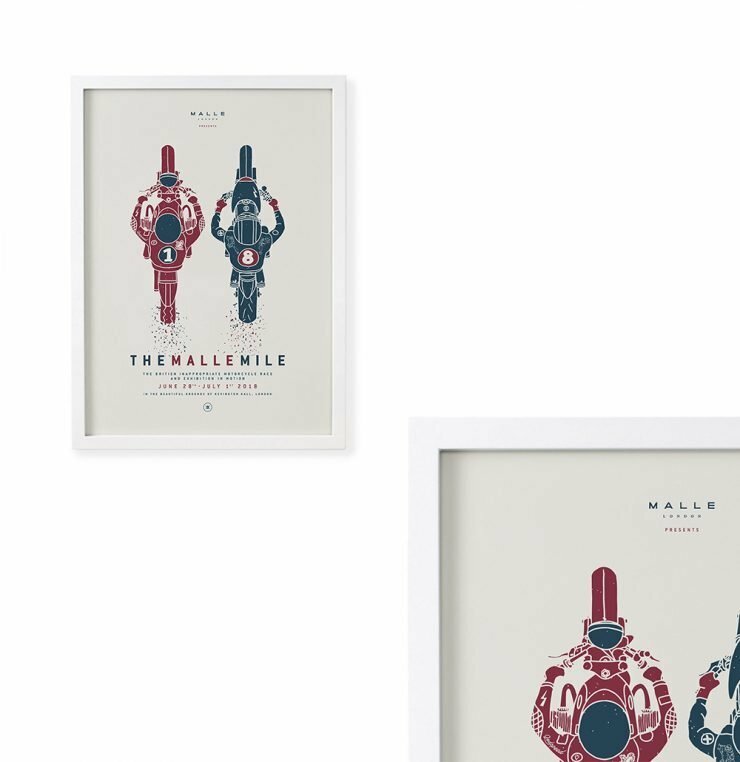 Categories: Accessories, Adventures, All, Gift Ideas, New, Nomad, The Great Malle Rally, Under £150.